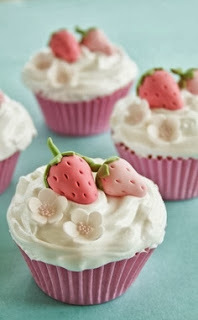 I used this adorable cupcake photo from Taylor's Birthday Inspiration Board. When I looked at this photo, it reminded me of the Berries & Cherries set. I remember the one image in that set with the little leaves and strawberries. So, I created a background by stamping that image repeatedly and colored it with Copic markers. 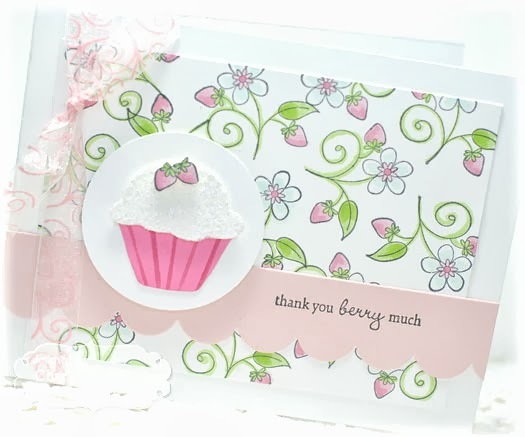 After adhering the background panel to the card, I die cut a piece of cardstock using the Medium Scallop Border Die and stamped the sentiment on there. Last, I used the Build a Treat Tops & Bottoms Die Set to create the cupcake. I covered the top of the cupcake in glitter to make it nice and sparkly! 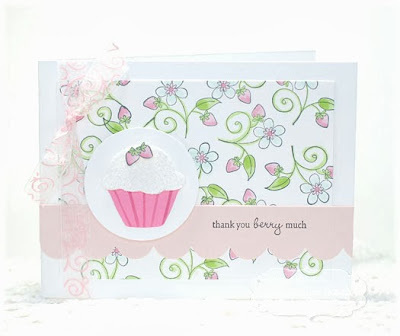 :) The little strawberries on top were stamped using the Berries & Cherries set, colored and cut out. I added some pretty ribbon to finish the card. There are several ways you can play along including simply having some fun on Pinterest or to play along and create a stamped project. Hop over the the Taylored Expressions blog for all the details!! 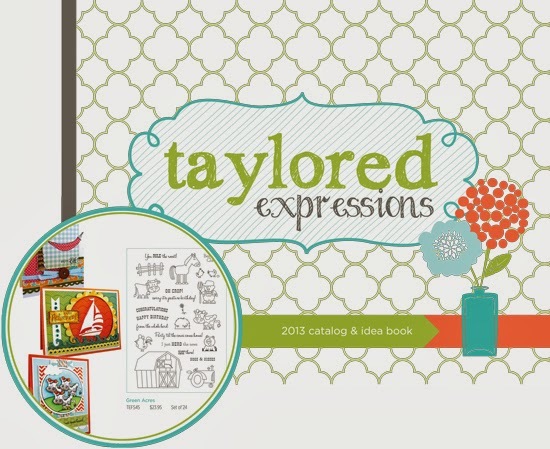 Four winners will be chosen at random from all contest entries to win a copy of the 2013 Taylored Expressions Catalog & Idea Book (a $9.95 value). One Grand Prize winner will be chosen at random from all eligible entries to receive a copy of the 2013 TE Catalog & Idea Book AND a TE Stamp set of the winner's choice! This is sooo soft and pretty, Charmaine....love the beautiful background you created and the cupcake is so yummy looking!!! !